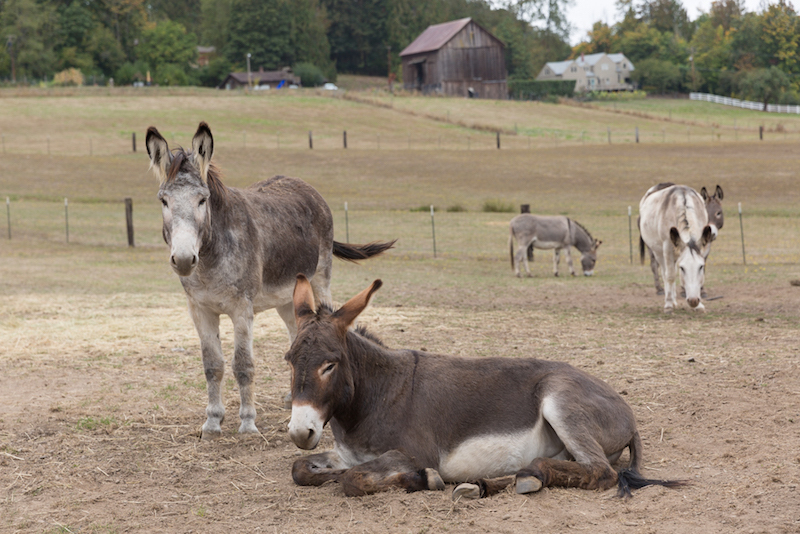 Rhonda and Jim Urquhart provide foster care to neglected donkeys on their 40 acre farm in Oregon City through the Peaceful Valley Donkey Rescue organization. 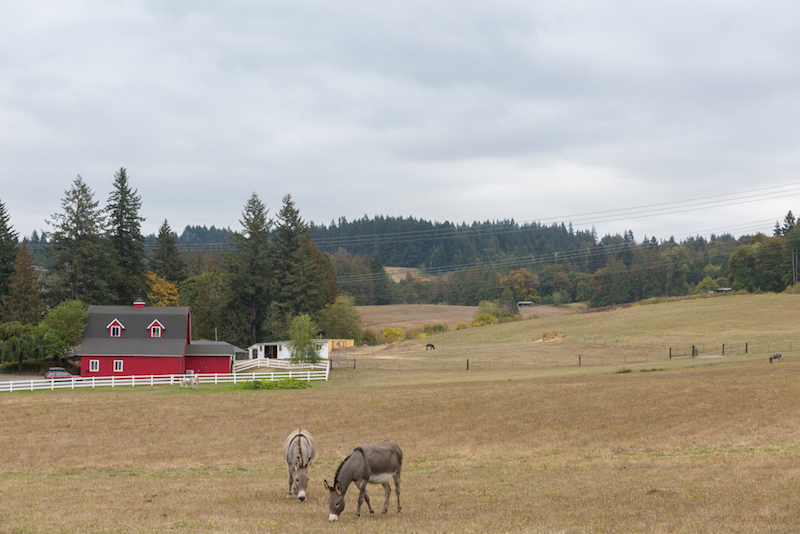 Rhonda and Jim Urquhart of the Peaceful Valley Donkey Rescue, had no idea what they were getting into when they decided to uproot from their arid Arizona homes and “move to green” after visiting an Oregon farm with its caving red barn. 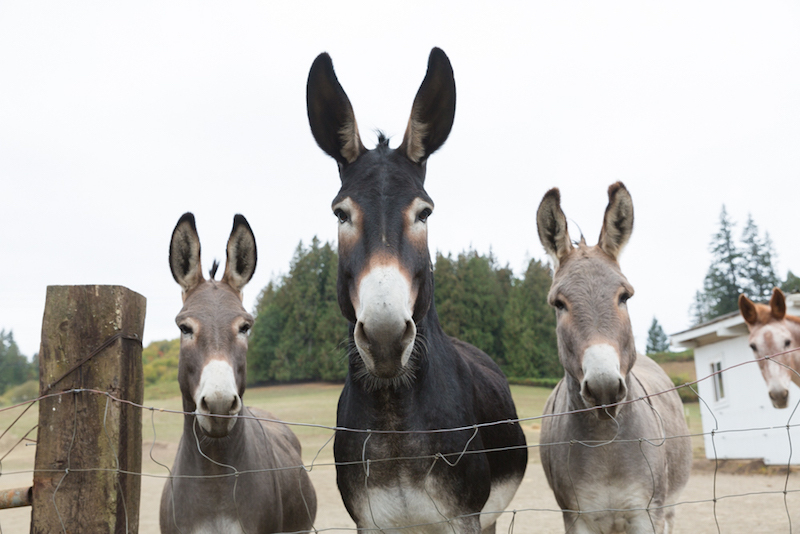 “I think we’re home!” exclaimed Rhonda during their first viewing, while driving past the front gate. 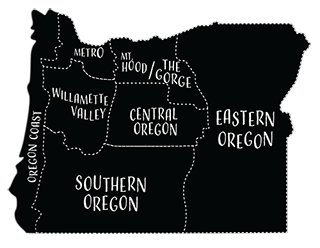 They returned to Arizona and rounded up their dogs, loaded up a van and followed a leap of faith into lush Oregon territory. 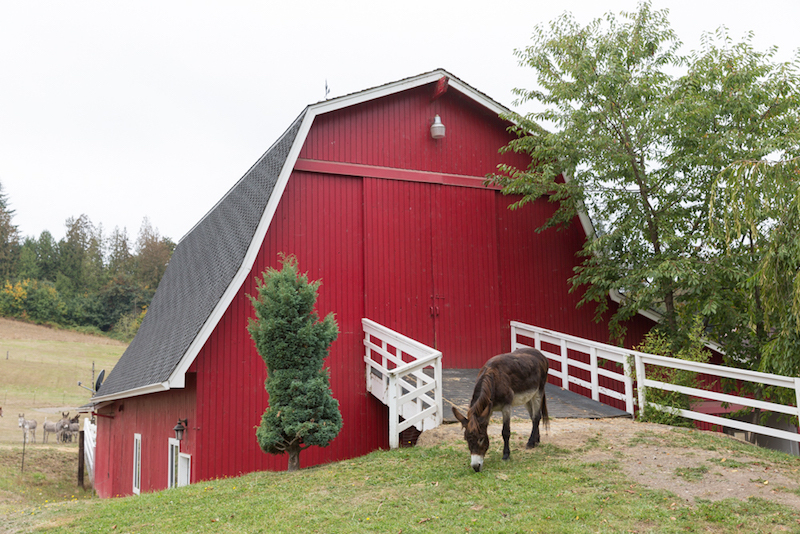 The Urquharts welcome guests to visit and spend time with the donkeys. 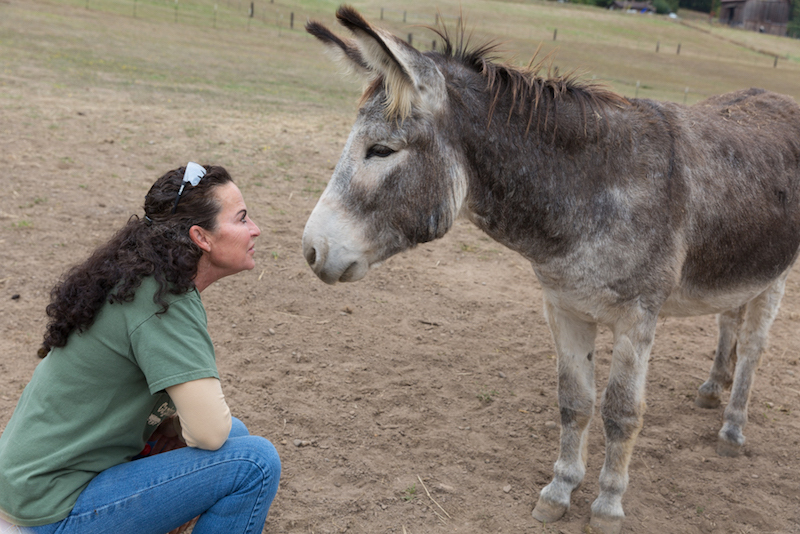 Recently, one of their donkeys had a positive effect on a child diagnosed with autism and another donkey expressed noticeable affection for a woman who was dying and whose last wish was to spend time around donkeys. “They know,” Rhonda Urquhart said, tears brimming in her eyes. 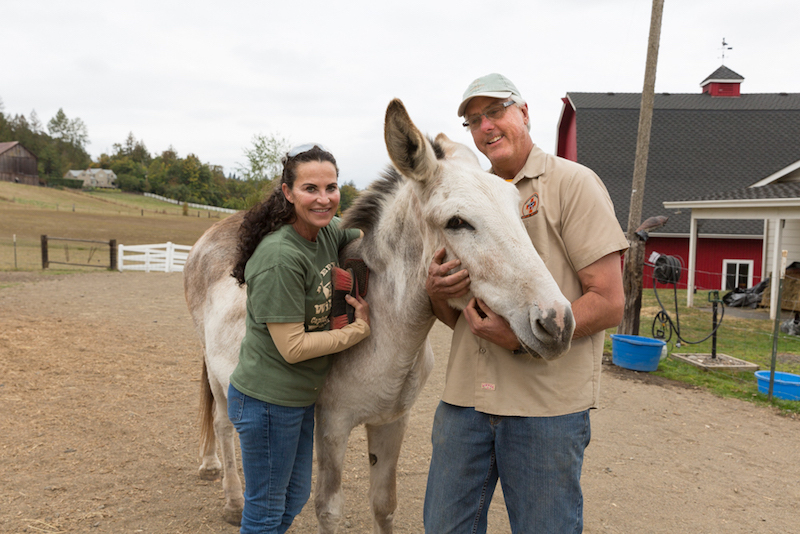 The Urquharts believe they have learned a great deal about forgiveness and trust from fostering numerous donkeys over the years. And in turn, their own devotion grows.